Living in Prague has many perks. Great beer, magnificent architecture and the international vibe make it easy to lose ones heart to the capital of Czech Republic. Once one has found his living space and settled in, exploring the city from an insiders view becomes priority. And while the exploring is a lot of fun and makes one love Prague for its little gems, it sometimes can be hard to find things that we know exactly where to find in our home country in the streets of Czech Republic’s capital. One of the things I missed for a long time while living here, where second hand stores that not only provide a good selection but also have the right price. 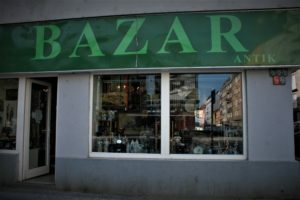 Many of the places one can find in Prague are not offering as affordable used goods and thus are not exactly what the term second hand refers to for some of us. Trying to live a zero waste life, especially clothes and furnishing shopping in said places can be frustrating. Even more so, since most second hand shops and goodwill stores concentrate on clothing and sometimes abandon the idea of offering anything else but that. Have you not found quite a place like Goodwill back home yet? 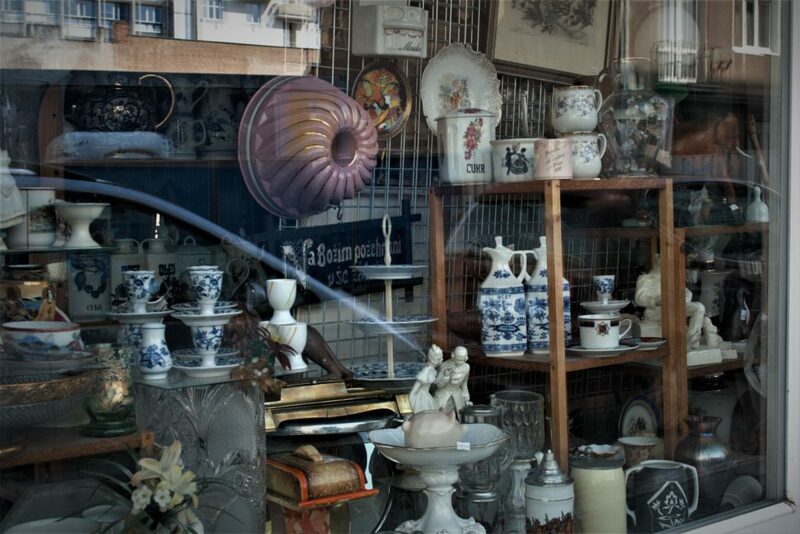 Could your second hand shopping tour use some extra stops? 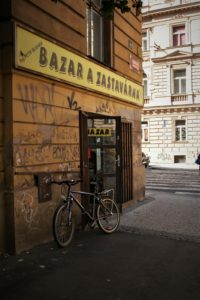 We set out and found the best places to meet a second hand shopper’s needs in Prague and put together the ultimate guide of second hand stores, bazars and flea markets around the city! Ready to dive in? By visiting this lovely, little place, you not only will find a big selection of clothing, jewelry, kitchen items, mugs, paintings and more – you also are doing something good for people in need! 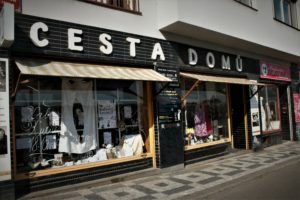 Cesta domu – established around 15 years ago – is not only providing you with your next treasure on your shelf, Cesta Domu is mainly a non-profit organization that provides registered health and social services to incurably ill patients in need of care. Besides second hand items, you can also buy lovingly handmade notebooks, postcards, mugs and more to support the great work Cesta Domu is doing! 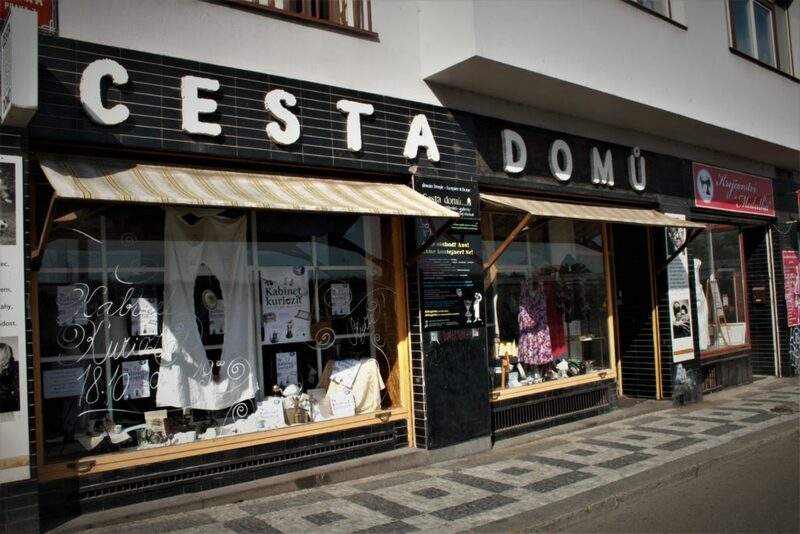 Cesta domu is constantly expanding their services, thus, you get to shop at both of their locations in Prague 6 and 7. The name of this one holds what it promises. 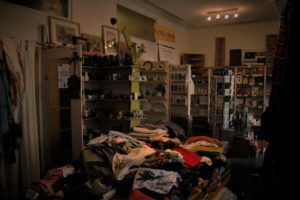 Even though To nejlepši z druhé ruky is a rather small second hand shop, you will be pleasantly surprised with what you will find in it. The owner of the small business definitely has style and only sells what a customer might actually want. 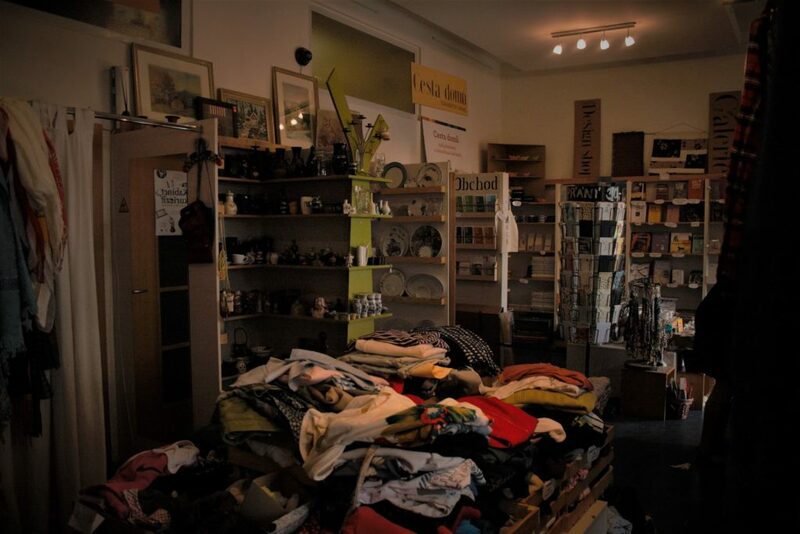 Starting at prices of CZK 49.00 for clothing items, TNZDR is a classic second hand shop as I know it from back home: Affordable, stylish and used clothing items for people who do not want to spend a fortune on Vintage clothes. 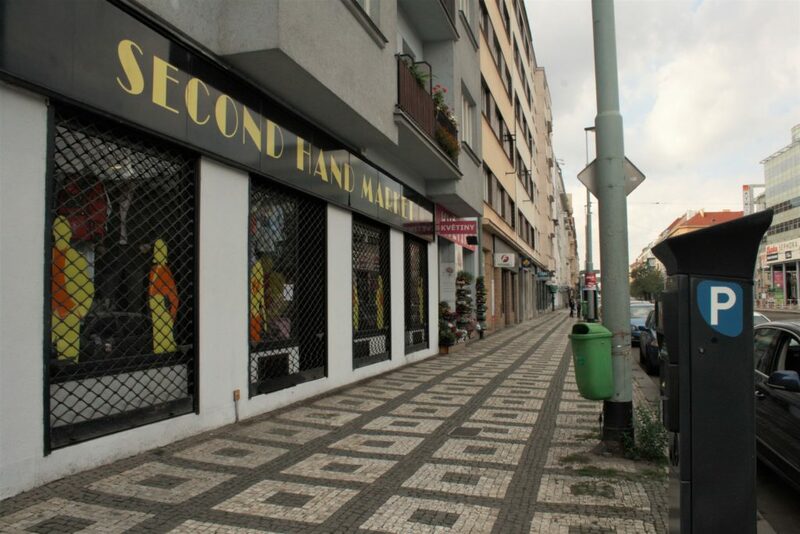 Often overlooked because it is located just off the bustling quarters of Prague 2’s district, Second Hand Market is the address for clothing items in the city. Though they consequently only offer clothing items, this is a very well priced and well sorted shop where one can get lost on two levels full of second hand treasures. Even men get to shop till they drop for a lesser price than usual! As we reported in our article ‘A Magnificent Flea Market has landed’, a new flea market has emerged in Prague 3! Not only clothing but even more so collector’s items, household, kitchen and furniture awaits you on this structure formerly used for freight. A typical flea market as one would picture it: No extra fanciness, no extra charges. For CZK 10.00 entrance fee, you get to shop, haggle and take your new acquisition home! A truly great experience and nice Saturday afternoon activity to undergo. Differentiating itself from its brothers in the city, Terminal Žižkov is open both Saturday and Sunday and gives shoppers a 10 hours window for finding the right piece. On top of that, they are always on the outlook for people who have items to sell in order to change up the offer of their flea market. 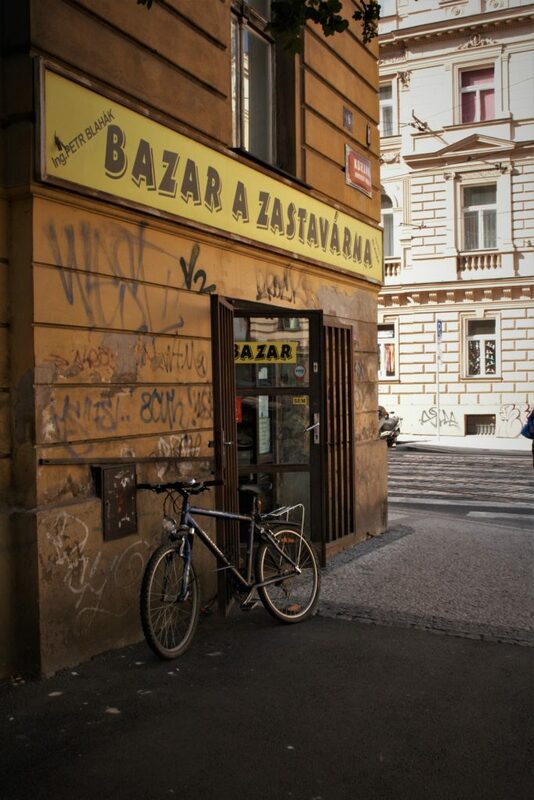 P & J’s bazar located just off Namesti Miru is one of the hidden shops where a second hand shopper can find true gems. Getting away from the clothing only trend in Prague, these guys surely will be able to help you out furnishing your place and finding little gadgets you will be happy to have in your daily life. Displaying household items and little somethings for an affordable price, P&J’s are easily one of our favourite places to get our used items from. This wonderful place just off Délnicka tram stop holds many special treasures. 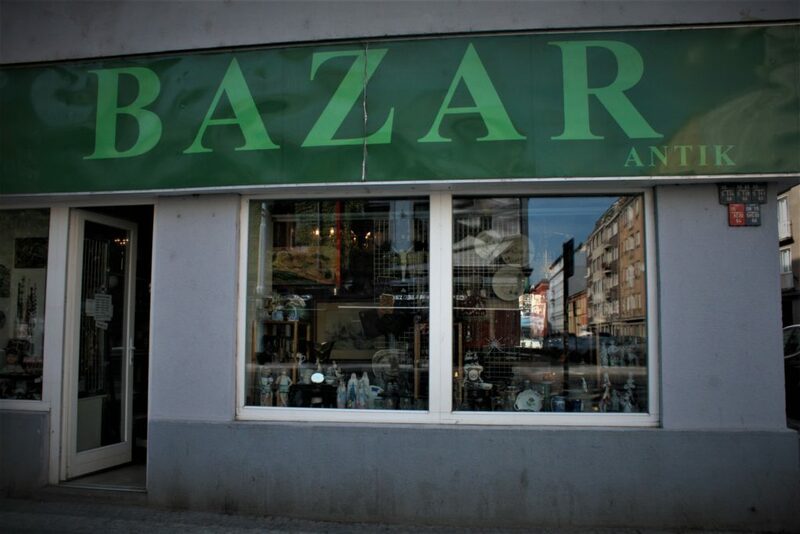 As Holešovice is one of the best second hand areas in Prague, Bazar Antik is just one of 4 bazars on the Kommunardů street. The two lovely people that run the place choose wisely what they put up for sale and Bazar Antik is one of the few places where one gets the feeling of having access to gems that have been around for decades. Beautiful handmade wooden boxes, silver coffee grinders, saddles and more can be spotted in this wonderful place. The Bazar consists of two buildings and you will need to walk around the house to get to the saddles and coffee grinders. A truly great place that is very well sorted and accessible and yet gives one the feeling that beneath this metal pot in front of you tells a tale of a world hundreds of years ago. Coming from an orderly chaos, here is a real one. Bazar a Zastavárna on Korunni truly has a lot to offer – if you are willing to dive into the massive amount of used stuff in this place. Though it might look frightening at first, we strongly recommend going down the stairs overlooking the plethora of gems that are waiting to be found. Whether you are looking for a bike, porcelan figures or lamps, this bazar will have it all! 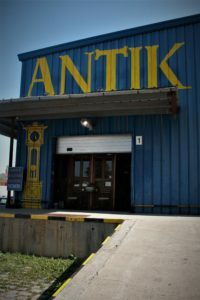 Whether you are looking for a special piece or you are just very tired of looking at the IKEA furniture in your four walls, the Nový Antik Bazar at the very end of Nákladové nádraží Žižkov’s terminal – just after Stodola Antiques – definitely has what you want. Located in Prague 3, Antik Bazar has made it its goal to give used furniture and special pieces a new home – maybe yours? What strikes one’s eye especially are the beautiful – and very affordable – paintings the guys sell. 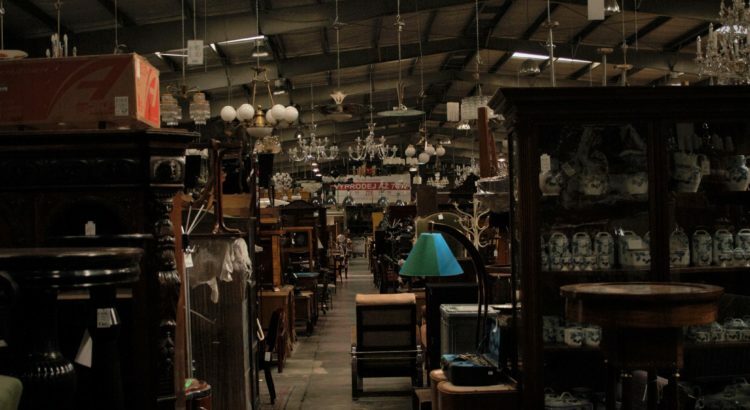 Strolling through this place is absolutely inspirational and will definitely get your second hand shopping mode going. So plan your second hand furniture trip and get that sofa you always wanted for less than expected! If you happen to have something collecting only dust in your flat, these guys will happily have a look at it and maybe even be able to sell it off for you. The 21st century has not only changed our behaviours in terms of social media but also our second hand shopping. The team of 1968 has built a wonderful and very user friendly website for second hand wear – delivered to your home! For all the treasure hunters that prefer not leaving their house in order to do just that, can now find their next precious piece online and let it find them! 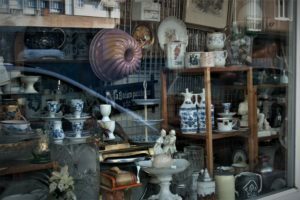 If you prefer roaming through the offer of a second hand store, 1981 also creates events where you can visit their pop up market and it is definitely worth checking out when the next pop up is on! 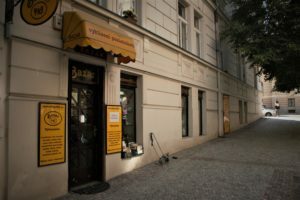 Though this guide will give you a great start into your second hand shopping experience in Prague, there is hundreds of many more great places that offer used goods for reasonable prices in a nice atmosphere. So go find your favourite bazar, flea market or shop and happy treasure hunting! What is your next treasure going to be? I think its worth to mention the famous Prague Thrift Stores with two locations. One in Prague 2 Vinohrady and one in Prague 7 near Letna Park. Go see https://thriftshop.cz/ for more information.